Take on the day with confidence. 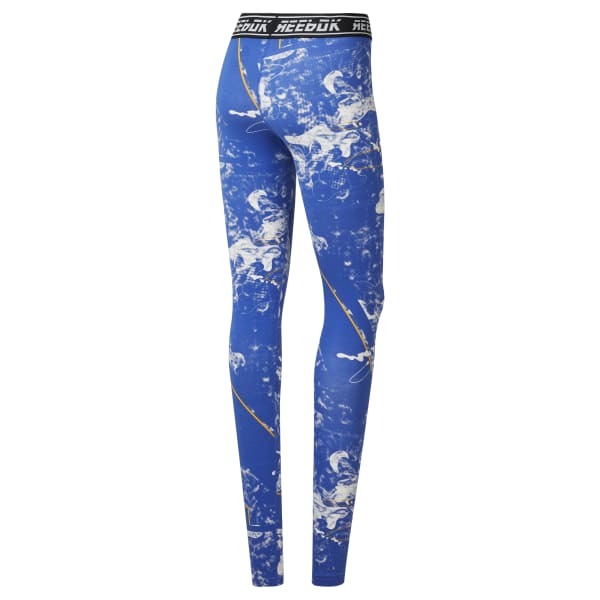 The expressive print on these women's tights brings bold attitude to your workout look. Made for a comfortable stretch, they have a modern, high waist finished with Reebok graphic details.